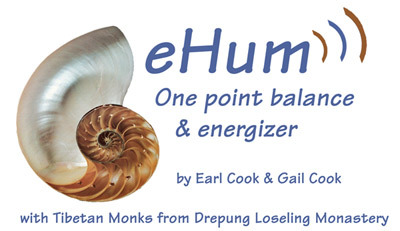 eHum is a simple and powerful technique that may be used for either one-point full body balancing or as a technique for balancing individual areas. 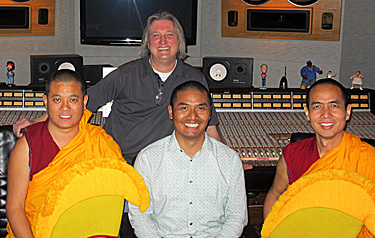 eHum features the esteemed Tibetan Monks from the Drepung Loseling Monastery located in Atlanta, Georgia. This monastery was started in conjunction with Emory University to meet a goal of The Dalai Lama to have his monks trained in the western sciences so that they could return to India and share this knowledge. 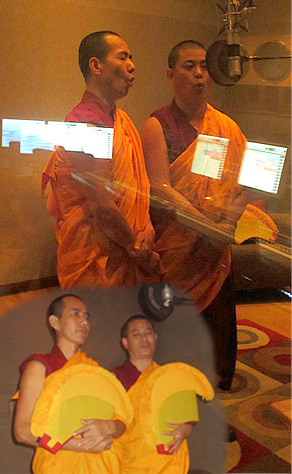 The monks appearing in eHum were personally picked by The Dalai Lama to be in Atlanta due to their advanced knowledge of the Tibetan traditions and ceremonies. 50% of all profit from the sale of the eHum with the Tibetan Monks is shared with the Drepung Loseling Monastery. “When people chant, it causes endorphins to be released that flood the body." “What you are doing is using the body's own internal tuning forks!" "I feel that a dialogue between neuroscience and society could have profound benefits in that it may help deepen our basic understanding of what it means to be human and our responsibilities for the natural world we share with other sentient beings." "We can help people all day long by getting rid of their daily aches and pains using Touch for Health. But, if we truly want to help people, then we need to help them discover who they truly are, realize their purpose in life, understand their Gestalt. If we can help people take those next steps into discovering themselves and the meaning of their life, then we are truly helping people." 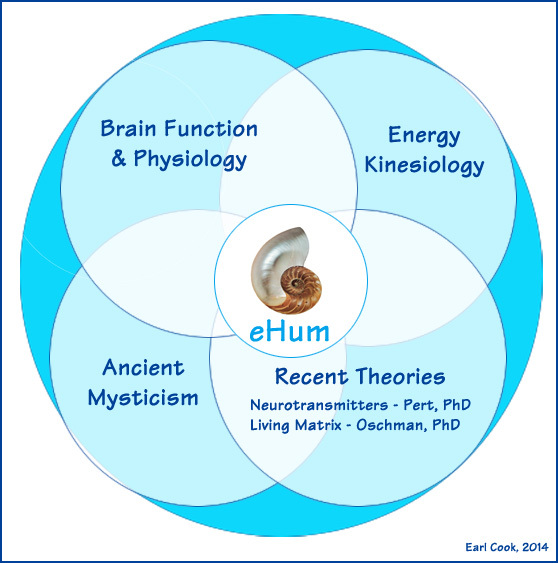 "eHum can cause from one-to-42 unlocking muscles to lock and imbalances in the meridian system to disappear. Often, measurements of pain, anxiety and discomfort go down while levels of blissfulness and peacefulness go up while people ponder meaningful goals." The eHum App also contains interactive drawings of the brain and brain functions. These drawings are from a collection of illustrations of the brain and its functions which were created by Earl Cook. 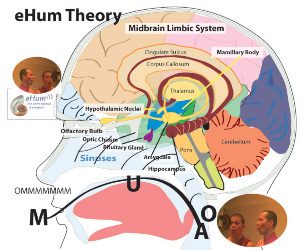 These are used to illustrate relevant concepts and theories involved in eHum. 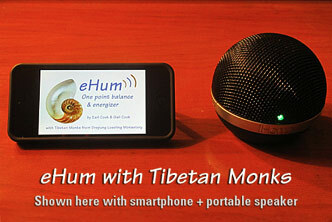 eHum with the Tibetan Monks can be used with a portable, Bluetooth rechargeable speaker (not included) to have the sound close to the forehead or to a specific muscle for balancing. Paired with an iPhone, you can have a powerful energetic balancing technique in your pocket! Dedicated to the study and preservation of the traditions of wisdom and compassion. The monastery is a center for the cultivation of both heart and intellect, it provides a sanctuary for the nurturing of inner peace and kindness, community understanding, and global healing. As a researcher and historian, Earl likes to see and document the connections as events evolve, as seen in the chart below. There also seems to be a certain amount of serendipity and the law of attraction at work. 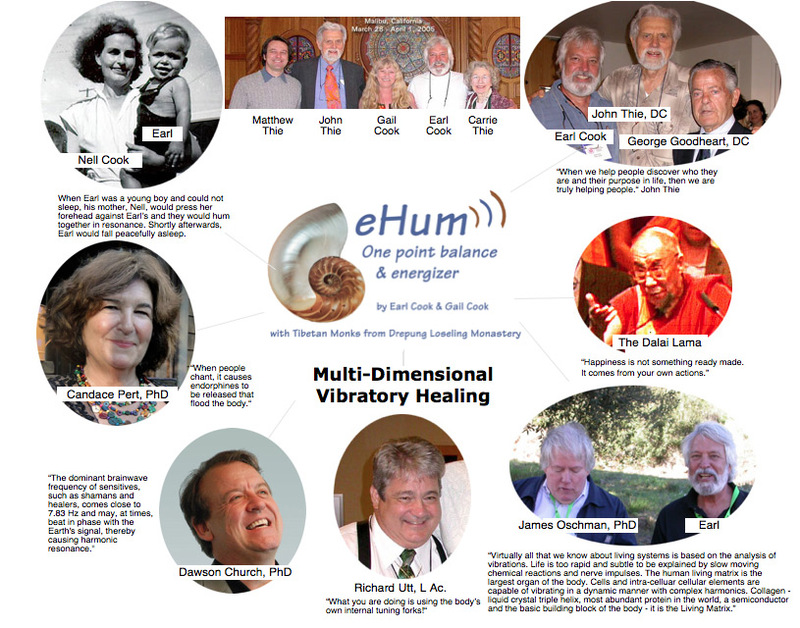 eHum actually began in the early 1950's and it was when reading Candace Pert's book in 2004-5 that Earl made the connection between the childhood event, modern brain neuroscience and energetic balancing of the acupuncture meridians while using the immediate biofeedback of the muscle test. Earl Cook made a commitment to John Thie, Touch for Health author and founder, that he would conduct research into the efficacy of the TFH model. His Holiness, the Dalai Lama, has made a commitment to scientific discovery for supporting the documented positive effects of the Tibetan techniques. 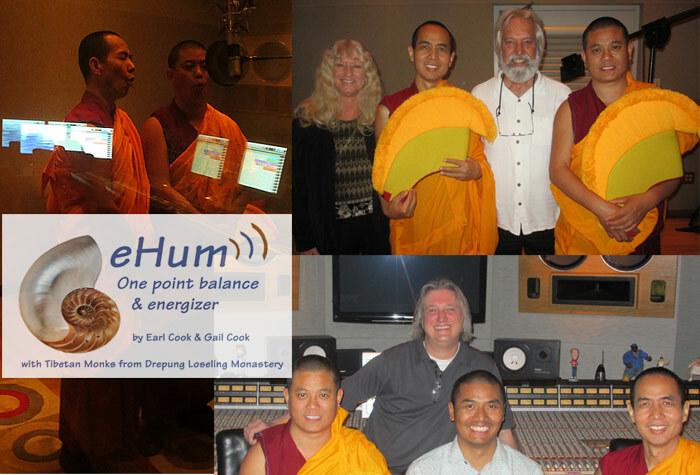 These two efforts connected and merged in eHum with the Tibetan Monks. 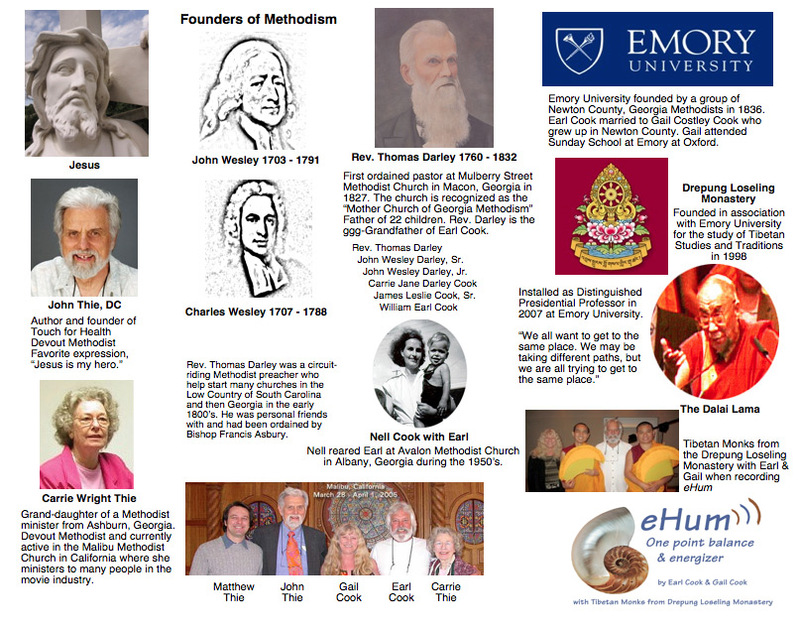 Another interesting link is between Christianity, especially, Methodism and the route to the Drepung Loseling Monastery which is associated with Emory University, as shown below. Earl thought it important to create the chart below since many people have sensitive views of religion. The synthesis that occurs in eHum with the Tibetan Monks is a holistic union on a high level and is respectful to everyone's personal beliefs. When submitting the proposal to the monastery for eHum, Earl highlighted the goal-setting technique of Touch for Health used for helping people set meaningful goals so that they can lead fuller and more complete lives. He believes this compatible with the goal of Enlightenment in the Tibetan Buddhist tradition. Thanks to Thom "TK" Kidd owner of Silent Sound Studios and master recording engineer! TK is a multiplatinum recording engineer and has recorded some of the largest names in the music business. 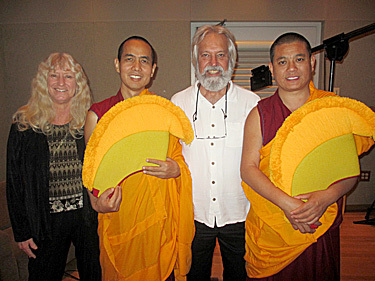 When asked if he had ever recorded Tibetan Monks, TK answered, "Never! Let's do it!"